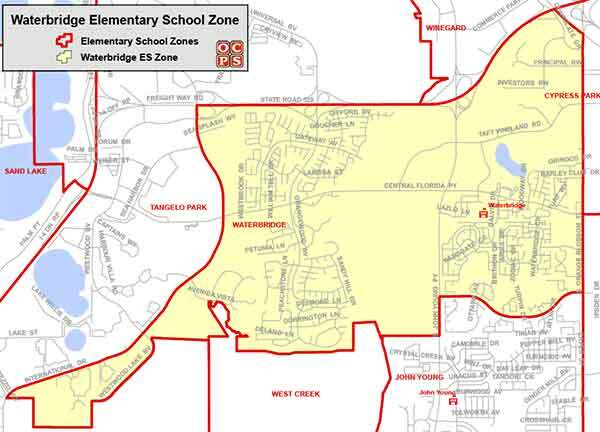 Searching for a home within the Waterbridge Elementary School Zone? Then you are in the right place! We work hard to make your next home search easy and efficient, so that when you are ready to buy or sell, we are ready to help! Waterbridge Elementary School History and Information: Waterbridge Elementary opened its doors in 1991. We are the elementary school with the largest student population in Orange County Public School District. After School Programs: Waterbridge Elementary offers after school care through a partnership with After School Program (ASP). This service is available both before and after school.